MacPHERSON, H.A. ; A. J. Stuart-Wortley, Alexander Innes Shand. 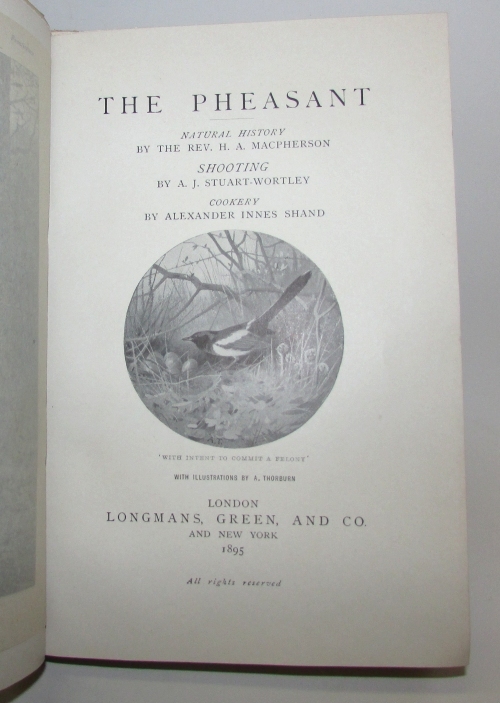 The Pheasant. Natural History... Shooting... Cooking. London: Longmans, Green and Co., 1895. 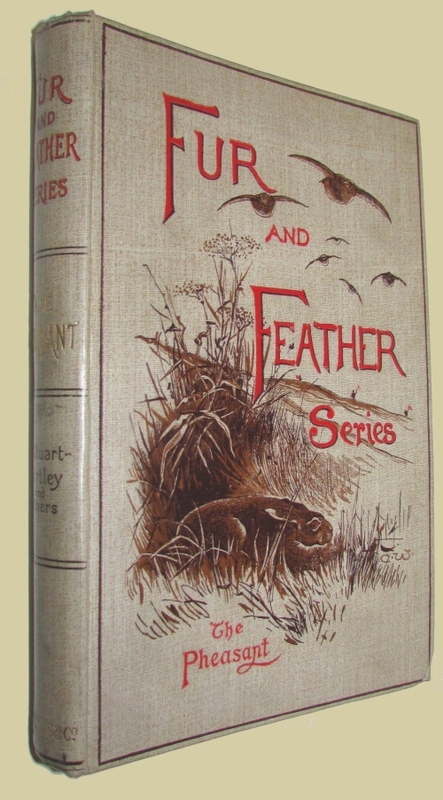 “Fur Feather and Fin Series.” 8vo., original pictorial cloth, 265, (2)pp. ads. Illustrated. Fine.